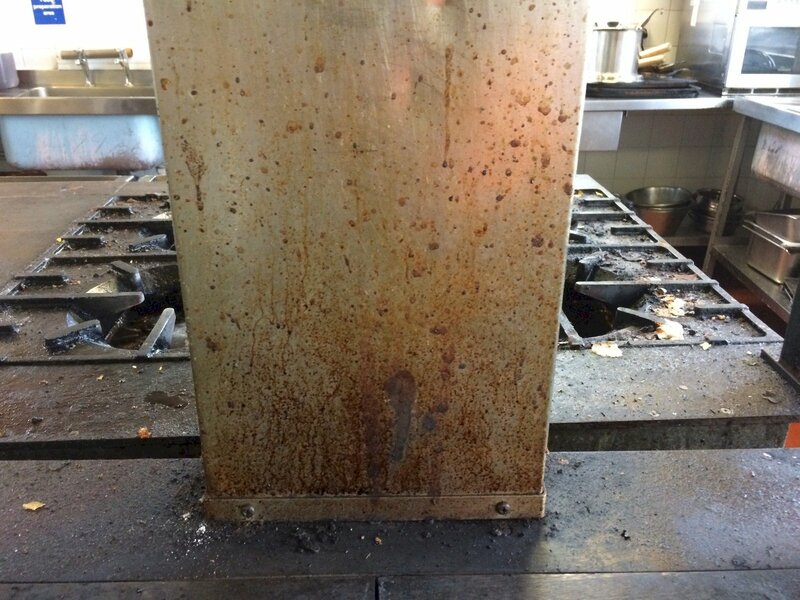 Rozone is working in partnership with a leading UK Commercial Kitchen Cleaning Company to resolve the problem of removing heavy grease and fat deposits in a blue chip restaurant chain, whilst, at the same time, improving health and safety, the speed and efficiency of their cleaning operators and improving the working environment for their staff. The Management Team had complaints of their staff experiencing discomfort and burning sensations when their current cleaning products came into contact with their skin. Employees reported many products caused an unpleasant atmosphere in which to breathe. Frequently these products were not effective and their operators reported having to apply time-consuming manual processes to achieve desired results. In partnership with Rozone, this national cleaning company completely overhauled their processes and the products used. Rozone attended a site visit and reviewed the operational requirements of their kitchen cleaning team and the financial requirements of the management team. Rozone selected a product called Duct Tech Power Clean, which is significantly safer to work with than the traditional products being used. Duct Tech Power Clean is a powerful alkaline blend for effortless removal of heavy staining and is used for the removal of heavy-duty grease and dirt from commercial kitchens and surfaces. The application is via spray and wipe with minimal dwell time. It is ideal to use on hard-to-reach-areas and has enhanced solvency for removal of burnt-on fats and grease. Rozone also reviewed the application of the products and recommended a Birchmeier foaming unit – the Foam-Matic to reduce the airborne particles and allow the product increased dwell-time. 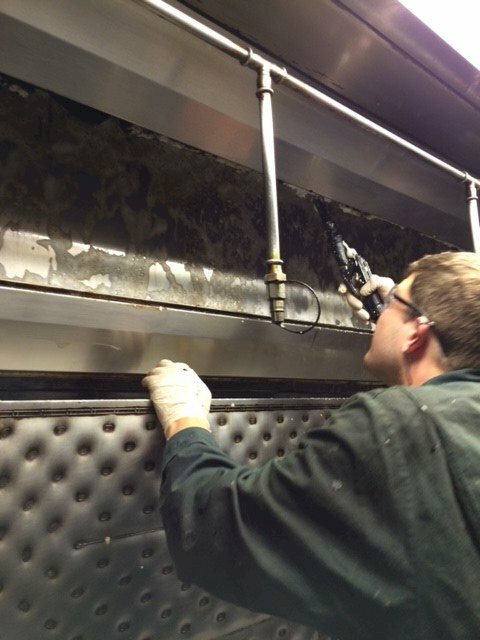 The Duct Tech product was applied to the canopy with the highest deposits of burnt on grease, left on with no agitation and after only a short time the operators were able to wipe off the grease with ease. Following the initial trial, the cleaning technicians explained that, to get the same finish, they would have to apply a heavy caustic solution, leave it to dwell, scrape, wipe and repeat sometimes two or three times. The Rozone product allowed the job to be done in a fraction of that time. In addition the cleaning could take place while the kitchen brigade and restaurant staff were working. They have since carried out further field trials to compare Rozone products and their old products. All trialling teams reported better results with the Rozone products and they used less product overall than before. The Rozone product range demonstrated a 45% reduction in chemical usage and this figure is increasing as the cleaning teams become familiar with the new range.